Welcome to the SpringHill Suites...a Pensacola Beach Florida hotel. We are your ideal choice for Pensacola Beach hotels. 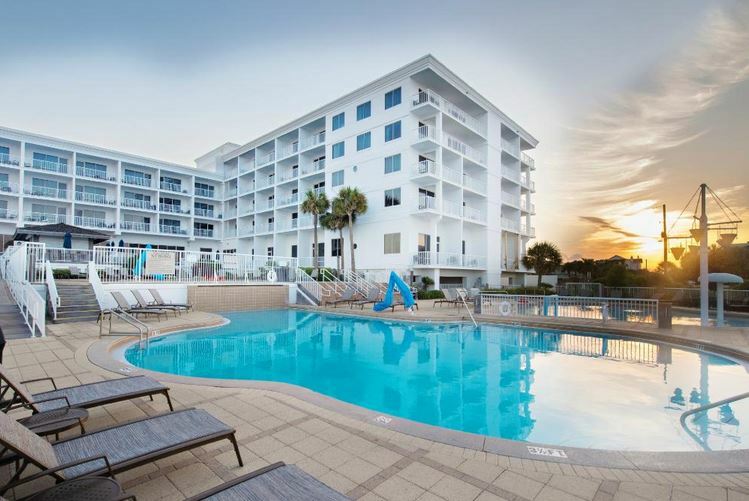 The Springhill Suites by Marriott in Pensacola Beach, Florida, features a fabulous location on the ocean and just minutes from many Pensacola area attractions. The Springhill Suites Pensacola Beach is conveniently located near Fort Pickens, Naval Air Museum, Quietwater Boardwalk, and Cordova Mall as well as businesses such as General Electric, Gulf Power, International Paper, Naval Air Station, Pensacola Junior College, Philip Morris, Sacred Heart Health Systems, and Solutia, Inc. The SpringHill Suites Pensacola Beach is everything that you have come to expect of Marriott and much more! With the stunning white beaches and the emerald green waters of the Gulf of Mexico as our backyard, the SpringHill Suites by Marriott is the obvious choice when making your plans to Pensacola Beach. Whether traveling on vacation or for business, the SpringHill Suites Pensacola Beach has "Just what you need." Begin each day with our Suite Seasons Breakfast Buffet served complimentary each morning. Whether you enjoy surfing, jet skiing, parasailing, or just relaxing by our Gulf Front pool, Pensacola Beach awaits with an endless list of activities. Sunrays, our poolside bar, is now open year round to quench your thirst with one of our tempting libations. For the business traveler we offer a complimentary 24 hour business center, high speed internet featuring wireless capability, managers reception, and Complimentary USA Today delivery to your suite.